There are more than 50 million Americans with disabilities. QUESTION: What is the implication of these figures for blogger and business owners? FACT: This under tapped market has $175 billion in discretionary spending power. 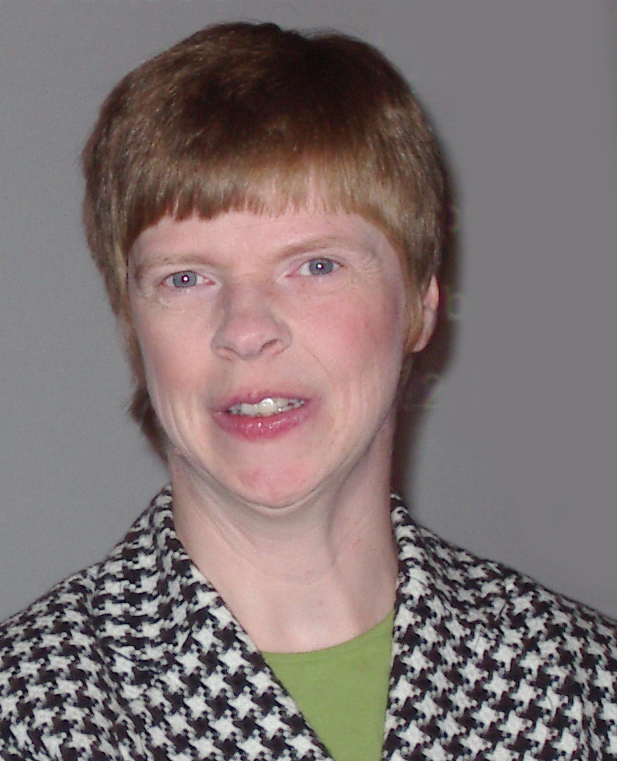 QUESTION: What is the spending power of persons with disabilities? FACT: The figure mentioned above is more than twice the spending power of American teenagers and almost 18 times the spending power of the American “tweens” market. QUESTION: Can you afford to exclude this market with a vast pool of experience, expertise and insights from your blog, and potentially from your business? FACT: The answer is no! QUESTION: How accessible is your blog? 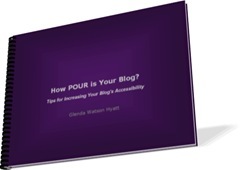 Grab a copy of "How POUR is Your Blog? Tips for Increasing Your Blog Accessibility”and begin making your blog more accessible today! Additional resources on web accessibility offer a starting point for further increasing your blog’s accessibility and reaching 18% of the population that has disabilities. Please allow me to introduce myself...I’m Glenda Watson Hyatt. For more than ten years, I have worked with three levels of government, transit authorities and non-profit organizations to improve accessibility of their websites for people with disabilities. I am well-versed in the internationally-recognized Web Content Accessibility Guidelines 1.0 and am rapidly absorbing the changes that come with the newly released 2.0 version. I am also familiar with the United States legislation Section 508 that, in part, requires specified categories of websites to be accessible to people with disabilities. I am now combining my web accessibility expertise with my passion for blogging and my first-hand experience living with a disability to work with bloggers to create an accessible blogosphere, one blog at a time.